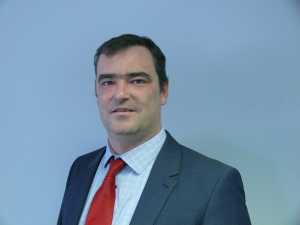 YBS Appoints New Retail Channel Manager. William Fox – Retail Channel Manager. Innovative insulation manufacturer YBS, appoints new Retail Channel Manager to national role. Such is the growth in demand for its reflective insulation products that YBS has taken the step of creating a new position within the company, by appointing a Retail Channel Manager to influence and support key decision makers across the retail sector. Carefully selected for the role, William Fox will have responsibility for working with a wide range of professionals, right across the country, assisting them in understanding the unique performance benefits and potential of the diverse product range, educating the retail sector on the best practice with the YBS range to maximise sales for all parties. As the renovation and extension of properties has become such a hot topic for the general public, both to save C02, energy and money, the YBS Insulation solution will fit perfectly. The likes of the BBA certified SuperQuilt multilayer insulation and the Airtec Insulation, which have the potential to greatly reduce heat loss and control moisture movement within the fabric of a dwelling. William Fox commented: “I’m excited about the scope of this opportunity to promote YBS brands and products throughout the retail sector. YBS use the best quality raw materials and latest manufacturing techniques to offer a complete product range with applications for the DIY enthusiast or gardener through to the professional contractor. With attention to detail, powerful merchandising, educational POS and experience in creating packaging that gives the consumer confidence we will continue to offer an attractive product assortment that maximises market share for our clients. The company’s regional sales managers, along with an easy to navigate website, comprehensive technical literature and the training given to stockists will all help cement relationships with the expanding UK customer base which YBS has established.